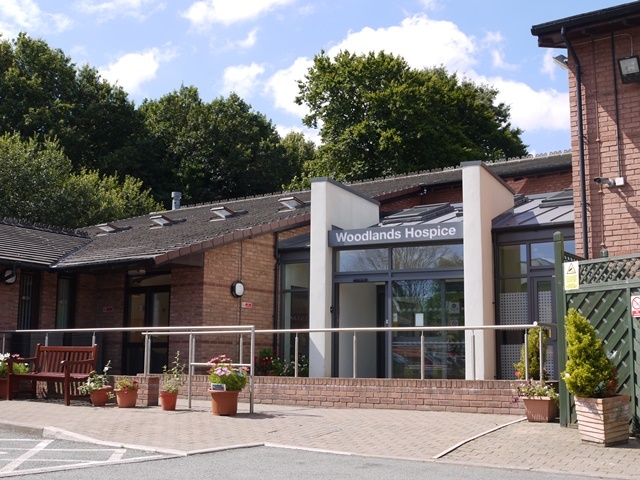 Woodlands Hospice is a registered charity dedicated to providing hospice care for the people of North Liverpool, South Sefton and Kirkby in Knowsley. Hospice care, also referred to as 'Specialist Palliative Care', aims to improve the lives of people who have a life-limiting illness. It helps them to live actively and be as independent as they can be and this support often extends to patients' carers, family and close friends. Originally founded in 1996, we are situated in a modern, light and welcoming purpose-built building within the Aintree University Hospital campus. Our care is 'holistic', which means that as well as taking care of patients' physical needs, their emotional, social and spiritual needs are also looked after. The Woodlands Hospice Charitable Trust was set up as a direct response to the needs of local people living with cancer. The experiences of General Practitioners, Macmillan nurses and hospital staff identified the need for a facility for the care and support of those with life-threatening illnesses in North Liverpool. The day hospice was opened in 1996, the out-patient unit in 2005, and a fifteen bed in-patient unit in 2009. Woodlands Hospice Charitable Trust is an independent charity committed to delivering the best possible practice and development of Specialist Palliative Care for people with cancer and other life-limiting illnesses with complex needs. It honours people’s right to dignity and respect at whatever stage of their illness by its aim to improve the quality of life for patients and their families. You can download a full copy of our latest 'Statement of Purpose' document here.